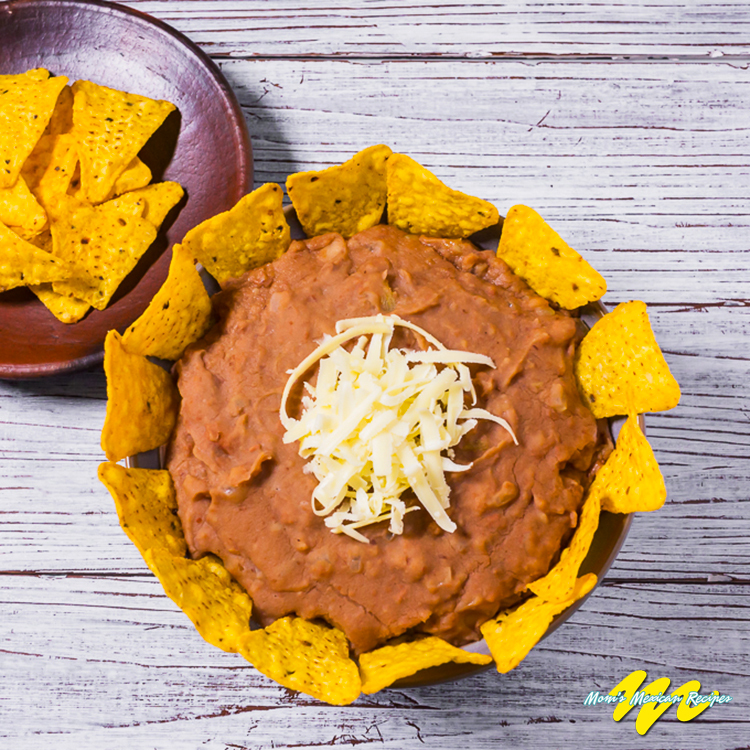 The Refried Beans Recipe is quick and easy to prepare, particularly if you have the cooked beans readily at hand.The Refried beans are among the most popular side dishes, along with Mexican Rice.It is also commonly enjoyed as a dip with the optional addition of grated cheddar cheese and hot sauce. I wouldn’t think of serving enchiladas or some of the simple soft tacos without a helping of refried beans on the side.A midmorning breakfast chilaquiles or any Mexican breakfast eggs would seem incomplete without a spoonful of creamy, rich refried beans alongside.Even the formal midday meal holds a place for the basic beans, after the main course and before the dessert. Fry the onion in hot grease until golden in color. Add the mashed beans in its broth and season with salt. 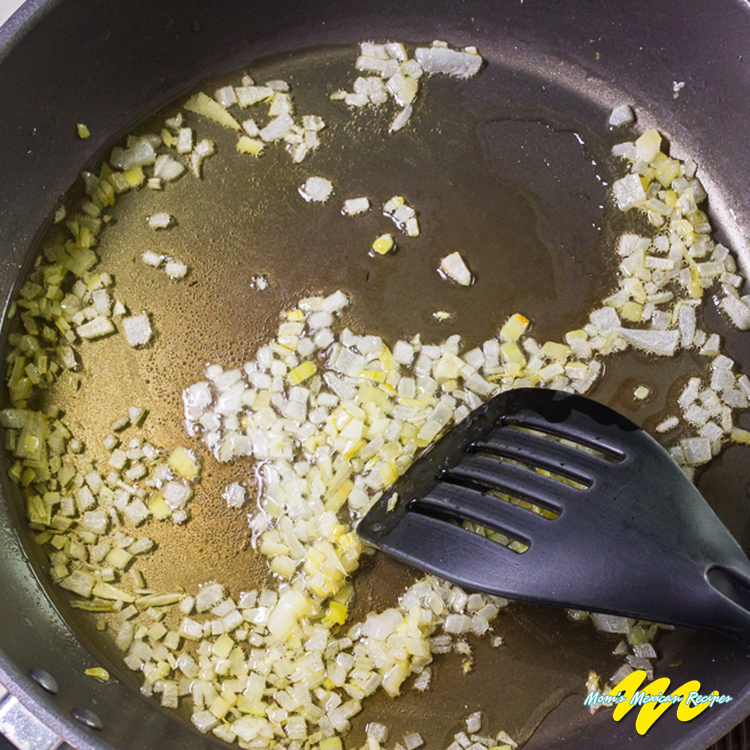 Keep frying until the mass becomes solid and you are able to see the bottom of the skillet. 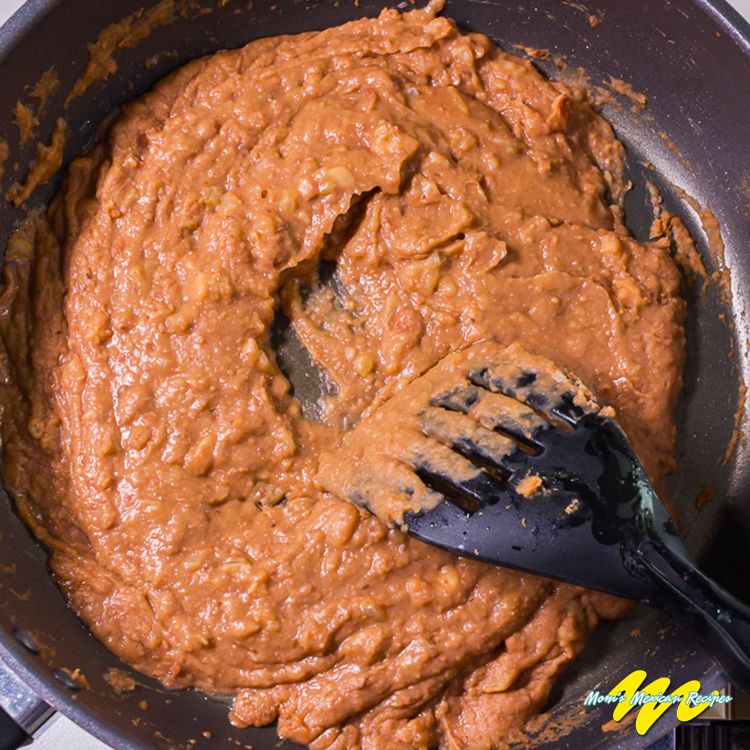 Remove from heat and place refried beans on a serving dish. Spread the grated cheese on top and adorn with tortilla chips. DON’T YOU HAVE COOKED BEANS READILY AT HAND? I invite you to cook them. 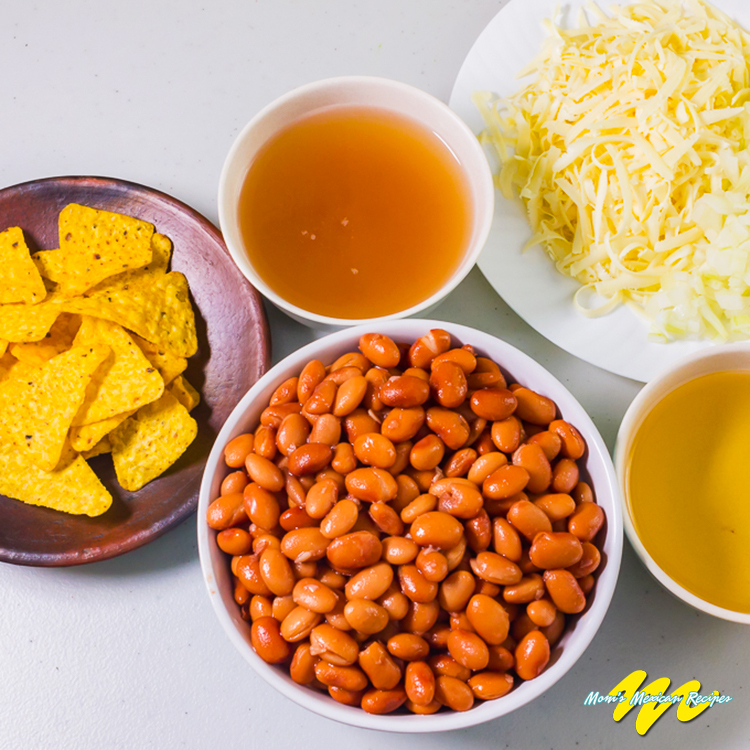 Take a look at the first 4 steps of the charro beans recipe. 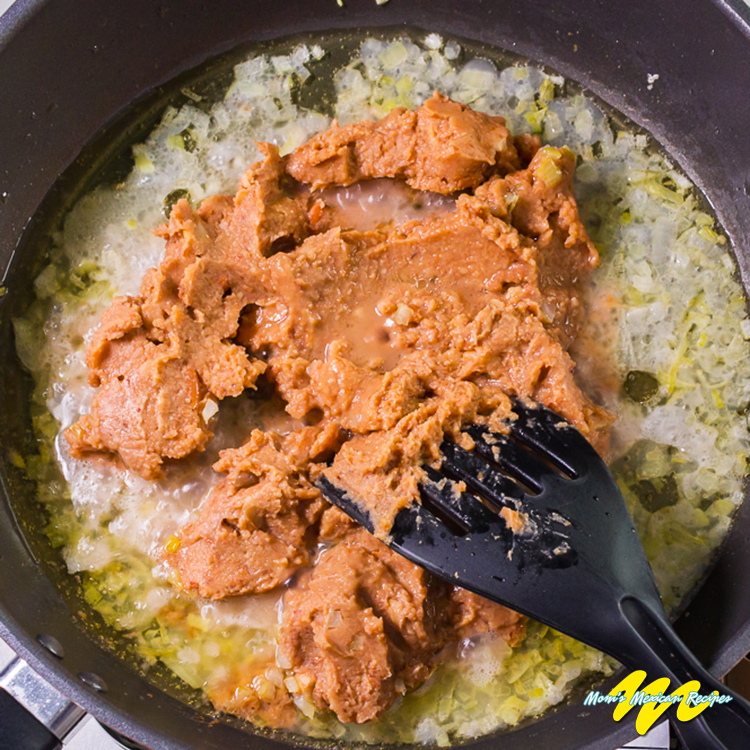 IS PORK LARD ESSENTIAL IN MAKING TRADITIONAL REFRIED BEANS RECIPE? No, it is not essential, but for sure it makes beans with the most satisfying flavor. If you’re looking for a filling dish that is low in fat, eat beans brothy, not fried. If you want to use vegetable oil, increase the onions and garlic a little to compensate for the loss of the tasty flavor of pork lard. CHEESE is high in proteins, calcium, phosphorus, zinc, and vitamins A and B12. It works toward preventing osteoporosis.